1.New Disk Initial PIN is 112233. 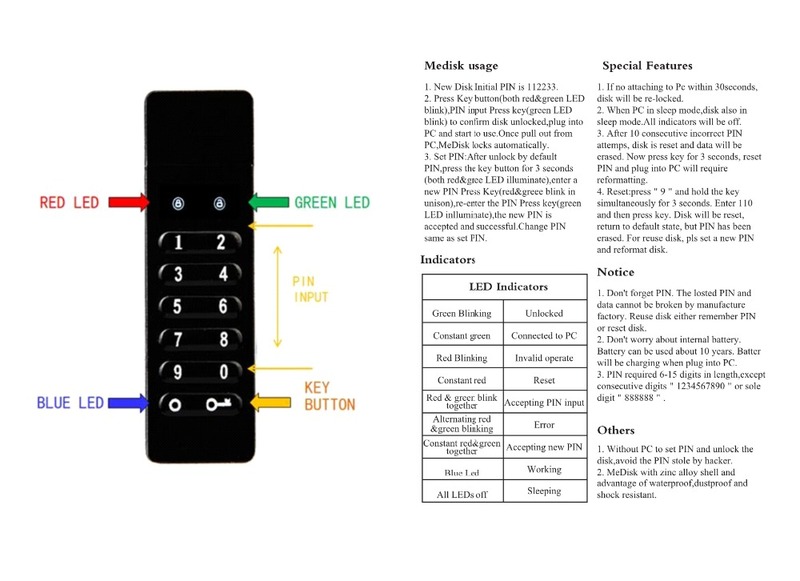 2.Press Key button(both red&green LED blink),PIN input.Press key(green LED blink) to confirm disk unlocked,plug into PC and start to use.Once pull out from PC, locks automatically. 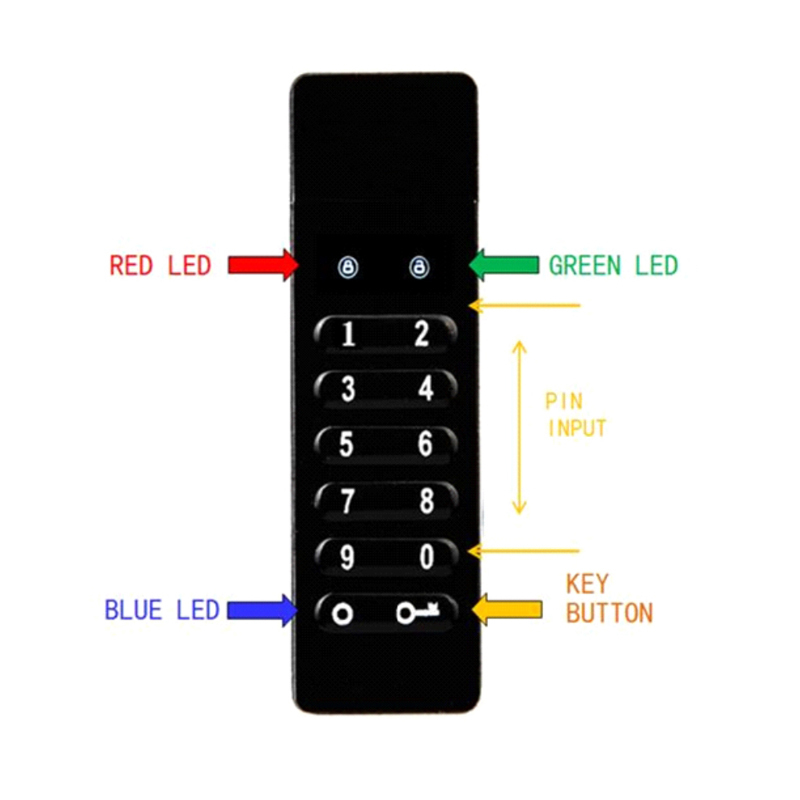 3.Set PIN:After unlock by default PIN,press the key button for 3 seconds(both red&gree LED illuminate),enter a new PIN Press Key button (red&greee blink in unison),re-enter the PIN Press key button (green LED inlluminate),the new PIN is accepted and successful.Change PIN same as set PIN. 1.If no attaching to Pc within 30 seconds,disk will be re-locked. 2.When PC in sleep mode,disk also in sleep mode.All indicators will be off. 3.After 10 consecutive incorrect PIN attemps,disk is reset and data will be erased.Now press key button for 3 seconds,reset PIN and plug into PC will require reformatting. 4.Reset:press "9 " and hold the key simultaneously for 3 seconds.Input 110 and then press key button.Disk will be reset,return to default state,but PIN has been erased.For reuse disk,please set a new PIN and reformat disk. 1.Don’t forget PIN.The losted PIN and data cannot be broken by manufacture factory.Reuse disk either remember PIN or reset disk. 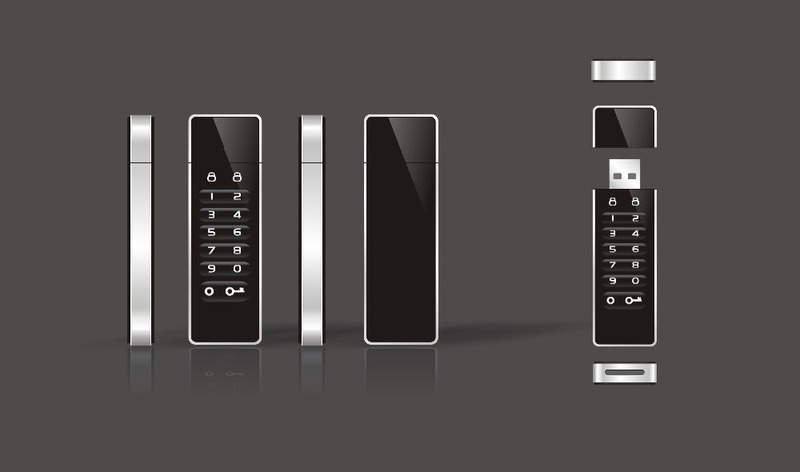 2.Don’t worry about internal battery.Batterycan be used about 10 years.Batter will be charging when plug into PC. 3.PIN required 6-15 digits in length,except consecutive digits"1234567890"or sole digit"888888". 1.Without PC to set PIN and unlock the disk,avoid the PIN stole by hacker. 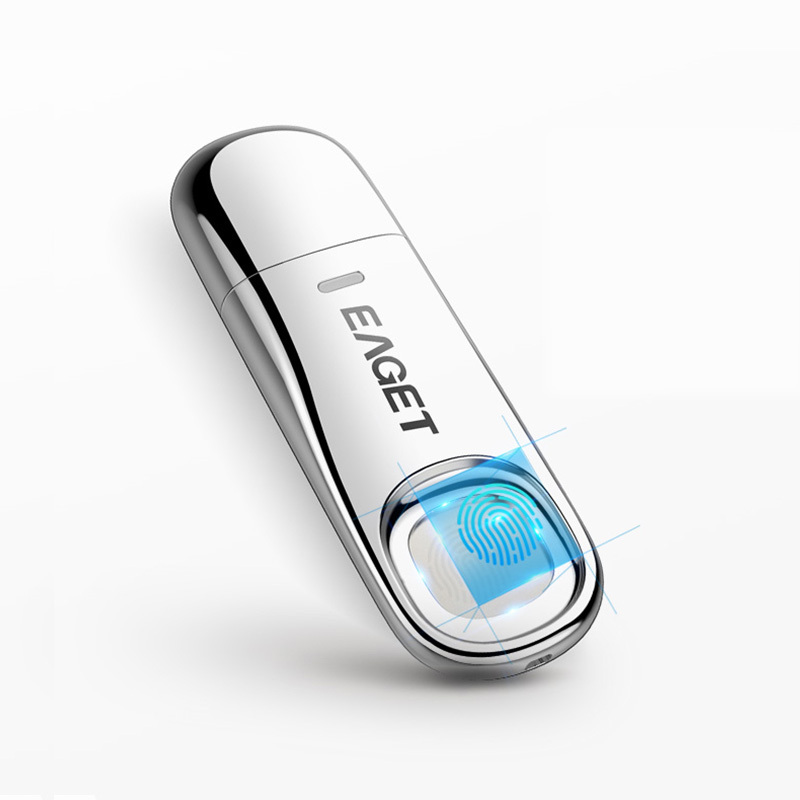 2.MeDisk with zinc alloy shell and advantage of dustproof and shock resistant. The DHL shipping is not support remote areas. Please be sure to offer your Detail Name/Address/ Post code/telephone number. If you are stratified with our items, Please leave us your positive feedback. Please don\'t leave negative feedback before contacting with us. We will do all we can to solve your problems. Submit negative feedback is not late if the problem is not solved.